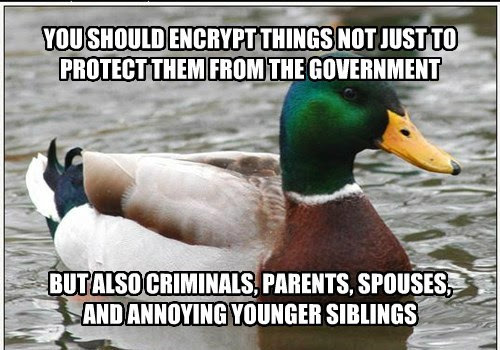 We often hear the advice that we should use encryption more, but why? Well, maybe you can think of reasons why you'd want to conceal things from criminals, or your parents, or your spouse, or even your annoying little brother or sister. Surely you can think of something you want to keep away from the nosy people in your life.